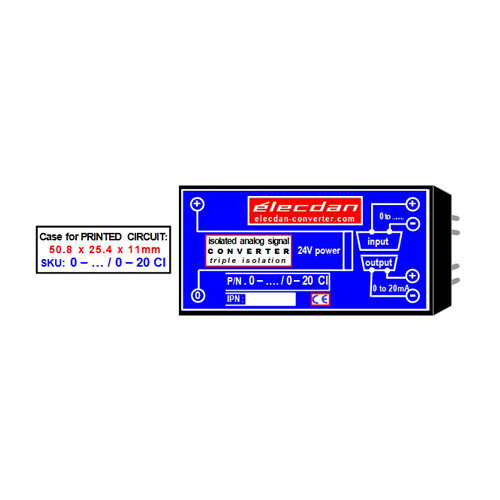 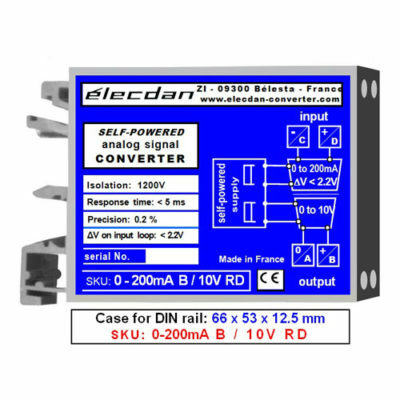 Voltage-current converter, isolated, multiple protection, economical, increased reliability – 0 to voltage defined by customer (from 500mV to 1000V) into 0 to 20 mA. 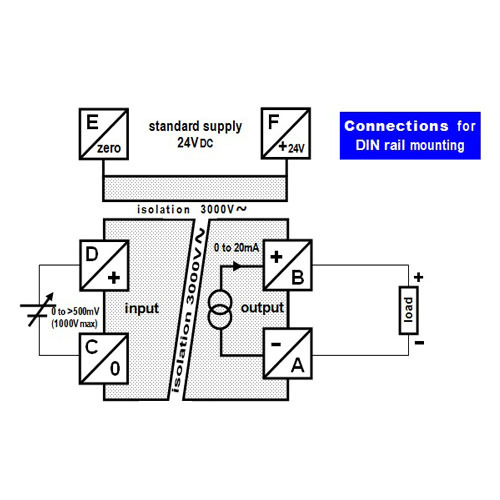 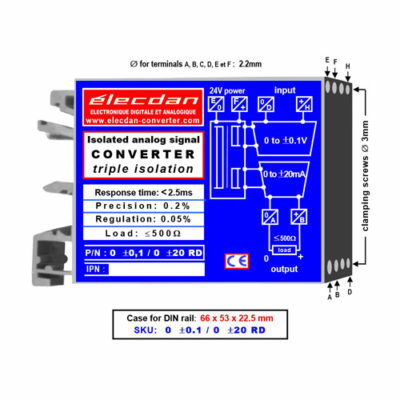 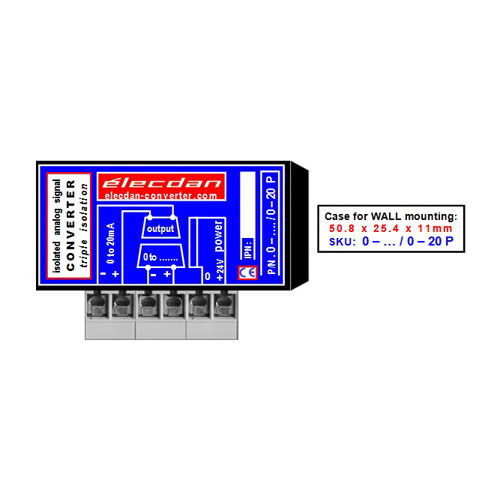 This mini-module with triple isolation (3000V~) precisely and rapidly amplifies (or reduces) non-standard input signals. The input range is defined by customer when ordering.